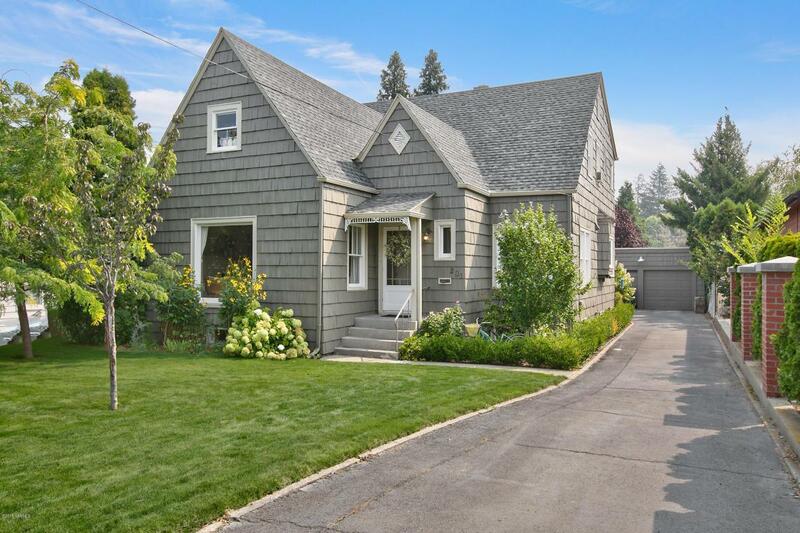 Charming Cape Cod style home in the historic district. Enter inside to a natural light filled great room with a cozy wood burning fireplace. Original hardwood floors flow through the house, giving off warmth and character. Generous sized kitchen offers ample counter and storage space, complete with two pantries. With bedrooms on all three levels of the extensive home, you'll be sure to have the space you need. Outside offers a beautiful deck, perfect for shaded gatherings. The low maintenance courtyard gives off whimsical vibes with its blossomed covered archways and lattice inspired designs. Listing provided courtesy of Tiffany Stewart of Berkshire Hathaway Homeservices Central Washington Real Estate.